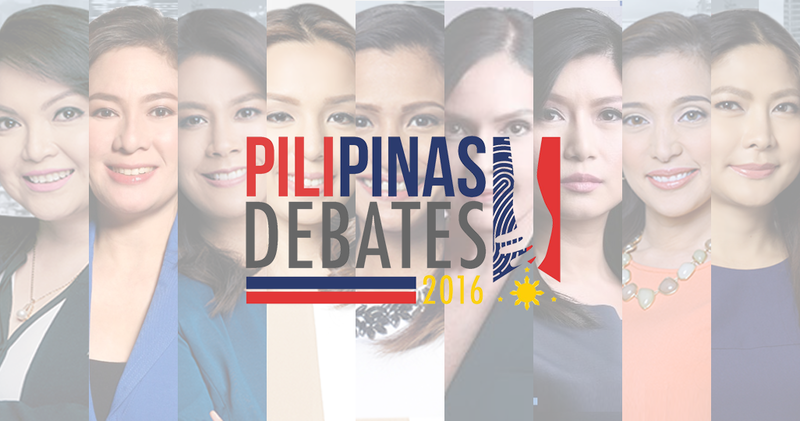 MNP Poll: Who should moderate the CNN Philippines PiliPinas Debate? Exactly one month from today, CNN Philippines, in partnership with Business Mirror, will host the third PiliPinas 2016 Debate — the only debate in this election cycle for vice presidential candidates. The debate, which is set to take place at the University of Sto. Tomas, will be the only chance for the VP hopefuls — namely Leni Robredo (LP), Francis "Chiz" Escudero (Independent), Gregorio "Gringo" Honasan (UNA), Ferdinand "Bongbong" Marcos Jr. (Independent), Antonio "Sonny" Trillanes IV (Independent), and Alan Peter Cayetano (Independent) — to make their case in front of a huge national audience. As with all our previous polls, we are once again asking you to vote on who do you think should moderate this VP debate. Given its format — a panel debate — the powers that be at CNN Philippines are likely select at least three or four of their anchors to either play as moderators or panel members. Among the choices, of course, are Network News anchor Pia Hontiveros; Newsroom anchors Claire Celdran and Mitzi Borromeo; and New Day's Karen Jimeno and Amelyn Veloso. Other choices are the following: Mai Rodriguez, Nicolette Henson, Menchu Macapagal and Claudine Trillo. Vote in our MNP Poll below and have a say! You may freely select your top four choices, just kindly justify your selections in our comment box below. Be sure to also join in the conversation on our Facebook page and tweet us @medianewserphil.